“Born in Birmingham”, “Made in the Midlands”, or “Bred in the Black Country”; how do you sell yourself? We all of us have roots. Some of them reach deeper than others. I have come across many people over the years that are driven by origins which give a strong message; the only problem is that it’s not always clear whether the sentiments conveyed are good or bad. It is innate in the vast majority of the population that they are fierce defenders of the area where they were born and often made their way in life. There is nothing wrong in this attitude, and it is rare that an individual takes against their regional background. This value system can be a major part of one’s upbringing, and it can be enlightening to see how far this permeates into areas such as business and commerce, as well as wider community-based pastimes. Back to the topic. How do you sell yourself and your organisation? Does heritage and tradition help? I am curious to read what you think. Let me know in the comments. I have worked all over the UK, but being who I am, from where I am, shapes what I am. Me? I was Bred in the Black Country, lived as an incomer Brummie, and still try to spread the word as much as possible, that great things are Made in the Midlands. You can find out more about what that means to me here. I was bo rn and brought up in Birmingham and, after a few years of wanderlust, I found myself drawn back to my roots like some homing pigeon unable to fight against a mystical GPS instruction embedded in the sat-nav of my brain. What did I find when I reached my destination? Well, it makes more sense to start by referencing the time before I left. I am a child of the sixties, and when I was growing up the good times were there, but subtly hidden beneath the skirts of the second city. My dad used to take myself and my sister out regularly on a Sunday, and we frequently gravitated to the city centre to find something to do with our time. There were many and varied attractions, but the most vivid memory I have of those times is that we would generally take a different route each week, not out of some wish to add variety to life, but due mainly to the roadworks that were ever-changing and never ending. We parked on the old curved multi-storey on Snow Hill, and walked to the Science Museum or other such cultural landmark. The alternative of an art gallery, or a trip to see Gas Street Basin (where Wilf Harvey from Crossroads had his barge) would be possible, but the chance of an ice-cream or bar of chocolate often diverted us to one of the very few cafes that might be open on the day. Roadworks are still hated like the spawn of the devil, but now endured for short periods of time, in the true recognition that there will be a positive outcome of all the effort. Proof of this can be seen in how The Metro has snaked its way into the central areas, and gives a valuable link between Birmingham and Wolverhampton, bringing Brummies and the Black Country together. 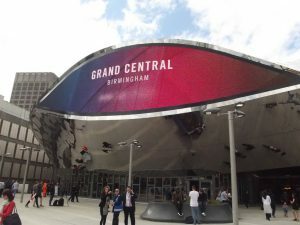 New Street station has been developed into a thing of beauty, and its all-seeing oculus screen above the entrance watches over the busy commuters and visitors to the metropolis. Those visitors can now enjoy some retail therapy time in vibrant and pleasant facilities such as the Bullring and Grand Central. Can anyone honestly say shopping was enjoyable in the brutal concrete old versions of these edifices? If you prefer more sympathetic traditional surroundings, then pop over to the Jewellery Quarter for some diamonds and pearls. Culture also abounds. Millennium Point and the Thinktank allow wide-ranging use of spaces to learn and experience the heritage of Birmingham, as well as a chance to see what innovations and developments are being incubated for future success. The Central Library complex is an iconic symbol of what the city can achieve, and is only just beginning to explore its full capacity for use by the community it serves. Galleries and museums are growing again, and the concentration of so many facilities in one place gives chances for co-ordination of day and night events that can utilise the ICC and the NIA. The echo of too few places to eat and drink in Birmingham has now faded away, and there are countless cuisine and budget options available all across the city. Whether you fancy a coffee, juice, burger, or sitting down with cutlery at a Michelin starred establishment, all is on offer. Traditional pubs and new bars mingle, catering for lovers of Bathams and Bollinger alike. Pork sandwiches or paninis, you won’t be left wanting. Business is stronger than ever in the region, and the Midlands Engine is well placed to support the needs of projects such as HS2 and Eastside. The makeover of Digbeth is planned for the coming years, and will bring even more commerce and industry to the city. Hotels are being constructed and renovated to service the needs of a wide demographic, and the opportunity to spend a weekend city-break in vibrant and exciting surroundings has become more attractive to a growing market across the country as a whole. 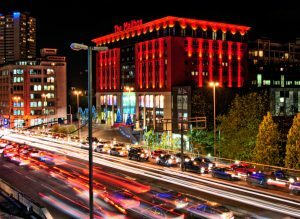 Businesses now see Birmingham as a viable location for their expansion and communication requirements, and Jaguar Land Rover continues to demonstrate the commercial excellence that can be achieved in and around the city. As the home of the biggest population hub in the Midlands, you may have your own favourite attractions in a region that uses words such as “Bostin”, “Bard”, “Balti”, and “Bab”, but there’s one thing that cannot be denied. Everyone reaches a point at which the creative flow slows, and eventually stops. This has been forever known as Writer’s Block. The effect this has is variable, but some of the points below might be familiar. The positive way to see this, is that things can only get better once you have moved past the dreaded state. 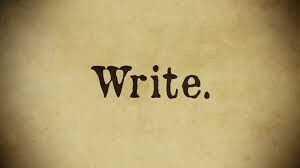 The need to write is more powerful than you might think, and the output of your labours will be an overpowering driver to pull you through the darkest of times. Be strong and you will be successful. How many windows have been broken by the impact of a laptop, PC, or typewriter, as the mind of the author is pushed to its limits? This is an emotion that is well known by authors seeking to not quite let go of their newly formed work. If that is not difficult enough, the inability to finish those final few pages, or lines, can make the sense of impending loss all the greater. 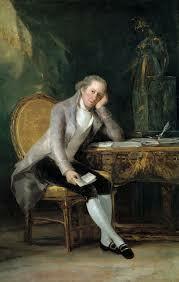 For a work that has been going well, the reaching of a point involving Writer’s Block is not pleasant. The temptation is to give up on the work, and never try to achive the goal. 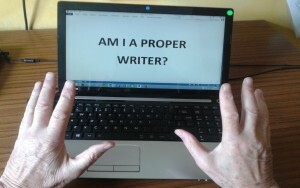 Doubt Questioning one’s own ability and worth as an author can arise at any time. Not being able to get past a sticking point is dangerous, and must be avoided. Is watching this a cure for writer’s block? Is watching this a possible cure for writer’s block?